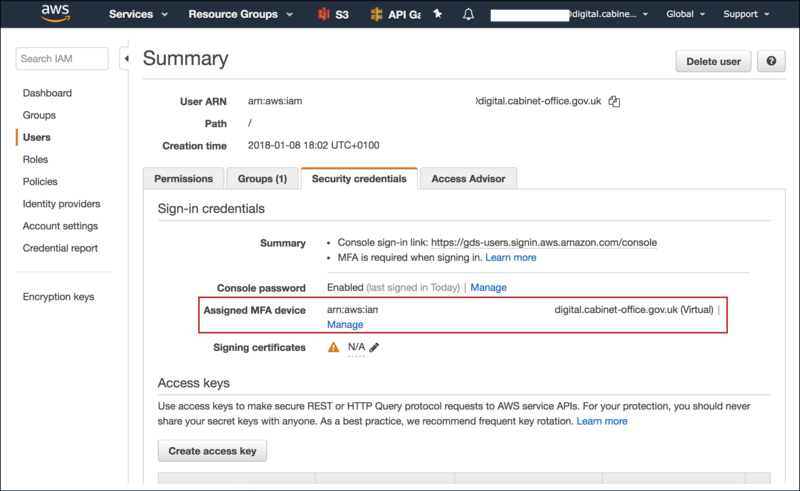 ðŸ’¡ Before you can access something in AWS, you need to set up your AWS account. ðŸ’¡ You will need to install the AWS Command Line Interface. 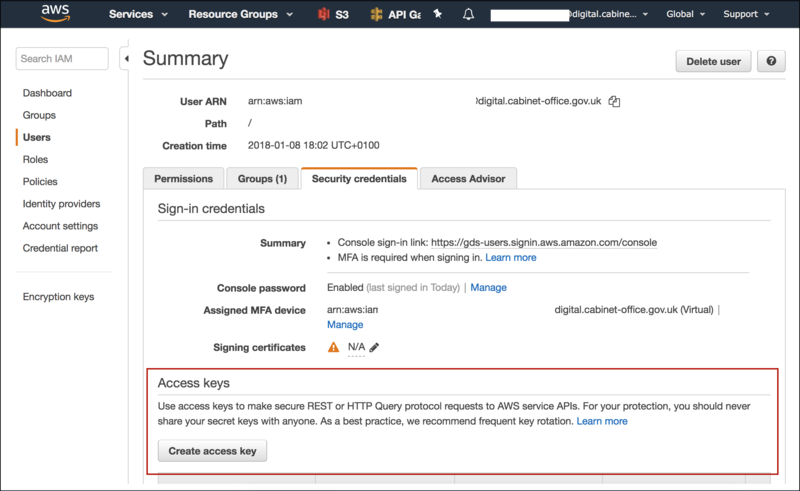 First, create a pair of access keys. You should be prompted for an MFA token. If successful, you should receive some output. This page was last reviewed on 29 January 2019. It needs to be reviewed again on 29 April 2019 by the page owner #govuk-2ndline . This page was set to be reviewed before 29 April 2019 by the page owner #govuk-2ndline. This might mean the content is out of date.